Whether you like to outline in detail or write by the seat of your pants, these tips will help you put in place guiding structure. In October, choose an outlining method and create a helpful guide for yourself that will make it easier to keep your eye on the whole while finishing your novel’s first draft. A considered plot outline will make your story more cohesive and will help you avoid plot clichés. Read 7 tips for writing a great plot for your NaNoWriMo novel. Starting NaNoWriMo with character sketches will give you direction for your characters’ goals and outcomes. Read 9 tips for creating believable and interesting character arcs. Deciding what to include in your NaNoWriMo novel and what to leave out? This post offers a refresher on story essentials. Find your central idea for your NaNoWriMo novel now using Now Novel’s Idea Finder and create detailed character sketches in preparation. Writing the first paragraphs of a novel is challenging. Here are tips for writing a zinger of a story opening. During NaNoWriMo, you’ll write more frequently than you might under usual circumstances. Build a plan to inspire you when you don’t feel in the mood to write. Writing a rough draft quickly is a key skill for NaNoWriMo. Use these tips to motor through your 50,000 words – then take your time to expand and polish when NaNoWriMo is over. Launching into your NaNoWriMo novel from a clean slate can be daunting – use these tips to get going. When you’re starting your NaNoWriMo novel, you’ll need to choose a point of view for your story’s narrator. This guide to POV will help. Lay strong foundations for your NaNoWriMo process from week one. If any questions, challenges or frustrations arise, get help from Now Novel’s NaNoWriMo writing group. As you head into the second and third weeks of NaNoWriMo, you might find your discipline and resolve weaken a little. These 7 strategies will help you stay on track. As you progress during NaNoWriMo, it’s important not to let self-doubt take hold. Use these 5 strategies for banishing self-defeating internal monologue. In your second or third week of NaNoWriMo, writing and reaching your daily word count could become tougher. Use these 10 tips to stay inspired to write every day without fail. If you get to a point during week two or three where you feel stuck, fear not – here are 14 strategies for working past blocks. 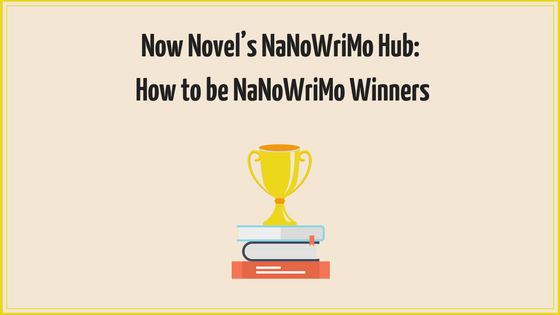 During the second and third weeks of NaNoWriMo, you should complete your novel’s middle. Here are key tips for making sure the middle of your novel provides a strong bridge to the end. Finishing a novel requires accountability in addition to discipline and focus. Find others who will help spur you onwards. Join an online writing group or get help from a writing coach for an extra push. In the final week of NaNoWriMo, you’ll need to end your novel satisfyingly. This guide to endings (featuring examples from George Orwell and James Joyce, among others) will help. As you near the end of NaNoWriMo, think about what type of ending your novel should have – will events come full circle, or is there a shocking twist waiting in the wings? In the event you finish your NaNoWriMo draft early, you can also start December’s editing process early. Here are 8 tips to self-edit like a pro. If you wound up with far too much material and managed to produce much more than the 50,000-word minimum and would prefer a novella-length MS, this guide to slimming your manuscript down by Janice Hardy will help. If you reach your 50,000-word target this NaNoWriMo, congratulations! These revision tips will help you stay structured and motivated as you move beyond NaNoWriMo to produce your final, polished draft. After you’ve finished your NaNoWriMo draft, helpful feedback will help you revise and get it into shape. Get helpful critiques from the Now Novel community or an experienced writing coach for external perspective. 1. Joe Bunting at The Write Practice shares 5 simple tips for starting off your NaNoWriMo process right. 3. Wendig has another great post over at his blog Terrible Minds: NaNoWriMo Survival Guide: How I Write 50K(-ish) Every Month [friendly warning: Strong language]. 4. K.M. Weiland’s post, ‘7 Ways to Use NaNoWriMo to Make You a Better Writer All Year Long’ shares useful takeaways from participating in NaNoWriMo. 5. Angela Ackerman’s post on what to do when you hit blanks during your NaNoWriMo marathon is helpful. 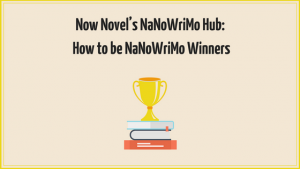 Read ‘NaNoWriMo Triage Center: Helping You Get to 50K’.